One of the most surprising elements in being a book review blogger is how you can choose some books to review and how some books can choose you to review them. 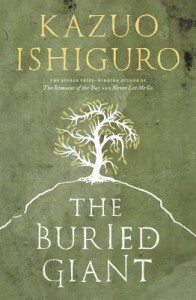 The Buried Giant by Kazuo Ishiguro became the latter instead of the former for me. I recently heard an interesting podcast with the author about the reception he has received from both the Science-Fiction/Fantasy and the Literary Fiction communities upon publication of The Buried Giant. Ishiguro defended his use of the fantastic in the novel and seemed quite interested in the genre as a whole. I thoroughly enjoyed that podcast and decided to read and review his novel. I had never read any of his prior highly acclaimed novels and he would not have been on my radar as an author I would normally read. Edwin. There are ogres, pixies, and other creatures known by fans of epic fantasy along the journey as well. I must admit that I had a divided feeling after reading The Buried Giant. 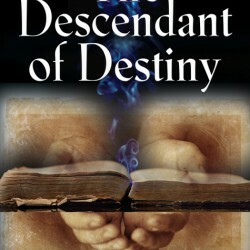 It was a well-written story and I found the elderly couple interesting and engaging. But, the Sir Gawain/Wistan/Edwin parts of the story were flat and uninspiring to me. It seemed those elements of the fantastic were added in like an extra ingredient of a well-prepared dish. I believed the fantasy elements were more for show than being an intricate part of the novel. I could have just read Axl and Beatrice’s journey on visiting their son and been completely satisfied with the book. The Buried Giant is a mixed bag of a novel that might not satisfy fans of Rothfuss, Martin, or Sanderson because of the sprinkling of the fantastic in the story. Or fans of literary fiction because there is a smidgen too much of the fantastic for their tastes. But, I applaud Ishiguro for taking an artistic risk like this and hopefully he will continue to push the envelope in future works.